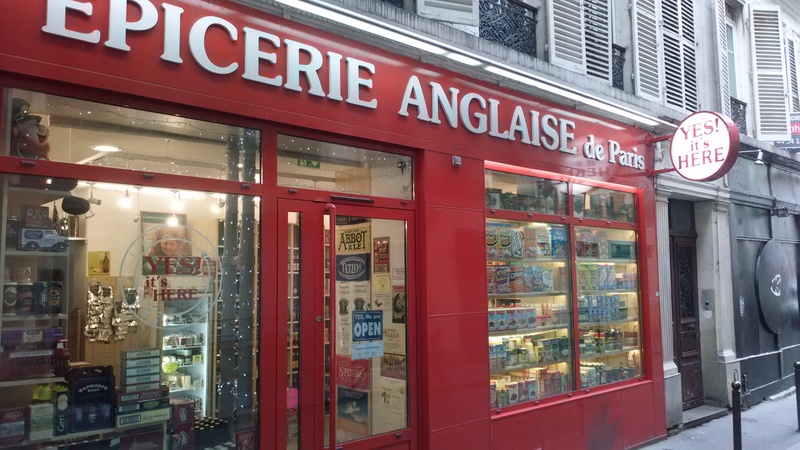 Australian and English food shops in Paris! Of course, without a doubt France can truly be called the home of gastronomy….pretty sure that’s a french word isn’t it? Sounds it at least! The French have some of the most delicious cuisine in the world, and many of their cooking techniques, ingredients and styles are lapped up by us hungry people the world over. But as much as I like munching down on a fresh baguette every day, there are times when I truly miss good old white bread toast from home. It’s funny that you often miss the strangest things when living in another country. For example, I would give anything for a hot Milo and a toasted sandwich. Or custard made with custard powder (rather than the freshly made French custard, how weird is that??). Or chutney and cheddar cheese (it’s almost sacrilegious wanting cheddar cheese when there are around 400 different types of French cheese!). Well, the heart wants what it wants. So rather than commiserate about not having these things here, I’ve made it my personal mission to weed out all the Australian stuff to be found in Paris! Here is my favourite list of shops to visit, when in search of some ‘strayan tucker! When a friend told me about this place awhile back, it took me at least 6 months to finally get there. Perhaps I was so worried I’d be let down and have my hopes dashed. Not to mention it’s on the complete opposite site of town, with 3 different trains and 55 minutes travel time separating me from it. When I finally dragged myself there, I was suitably impressed. Being an English supermarket, of course it catered to the tastes of l’Anglais. 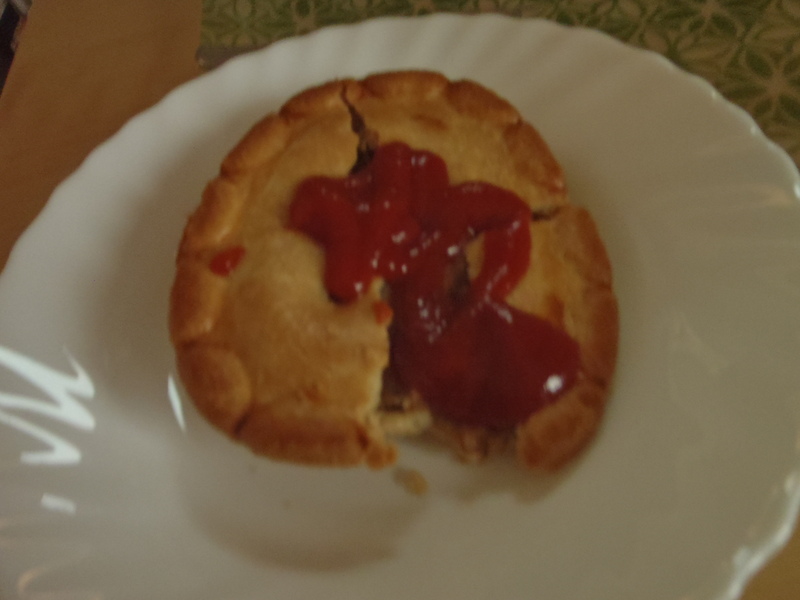 However, seeing as so much of our Australian food is based on old English recipes (dare I say it, they invented the pie, not us) I managed to find heaps of foods from back home. 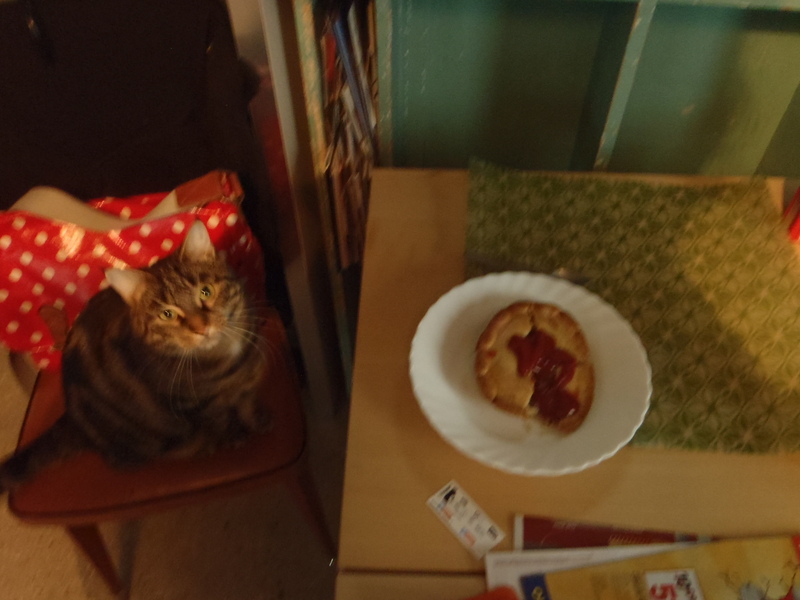 Ce n’etait pas moi, I was just going to taste it……. They also sell a huge bunch of other things you won’t see in the regular shops here…. Something I also found here that I’m crazy happy to have: self raising flour. Who knew that would be hard to find??? To give credit where it’s due though, the French do sell a version of this -farine de gateau. This is ‘cake flour’, and is pretty much regular flour with raising agent added. The difference though is that the raising agent is yeast, which I can’t help but find weird to use in a sweet recipe. In my books, yeast is for bread! 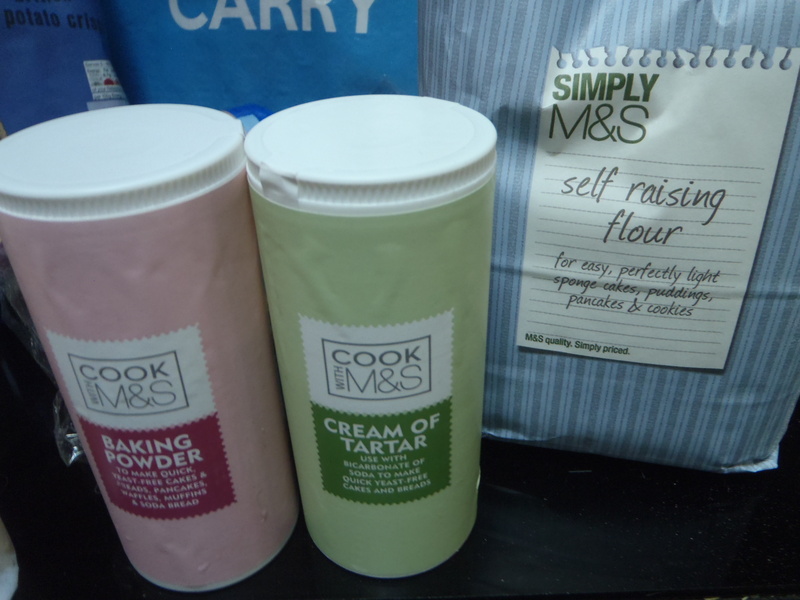 Perhaps I’m an old fashioned lady in disguise, but I can’t use anything but true self raising flour when making a recipe from home -to the point where I’ll cart bucketloads of this stuff across the city just to ensure I have adequate stock! Two other baking essentials: baking powder and cream of tartar. I have since discovered baking powder in a shop here, but cream of tartar? No way. I can’t figure out it’s name in French, let alone endlessly scour the French supermarket shelves for it. When I saw them at Marks and Spencer I couldn’t resist, and you know what? Best. Buy. Ever. 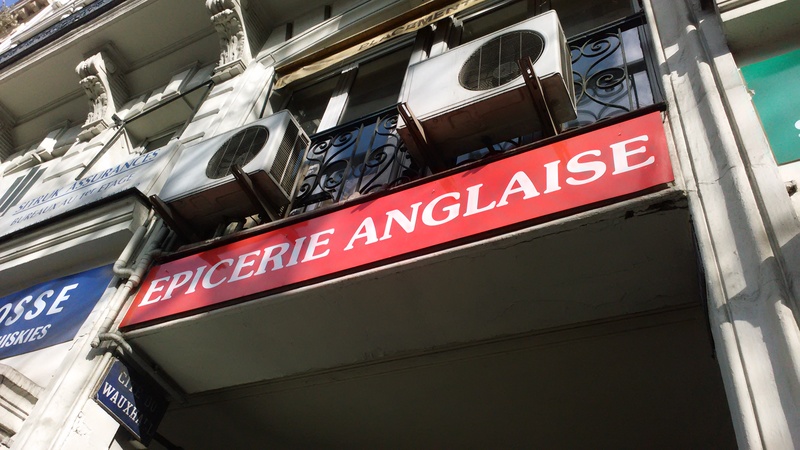 This was the original expat shop for me, and the best. 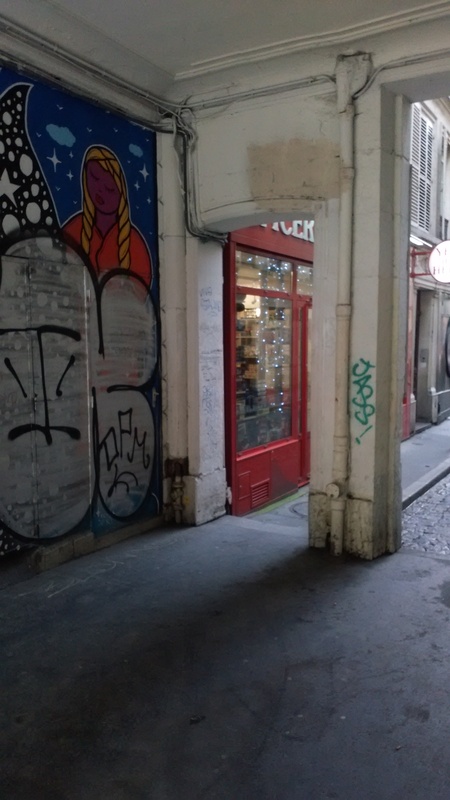 Tucked away in a little laneway, it took me about 5 tries to actually find the darn shop. It’s just off a large square (Place de la Republique) which has about 8 different busy roads coming off it, all looking the same to me in my perpetual state of lost-ness in Paris. 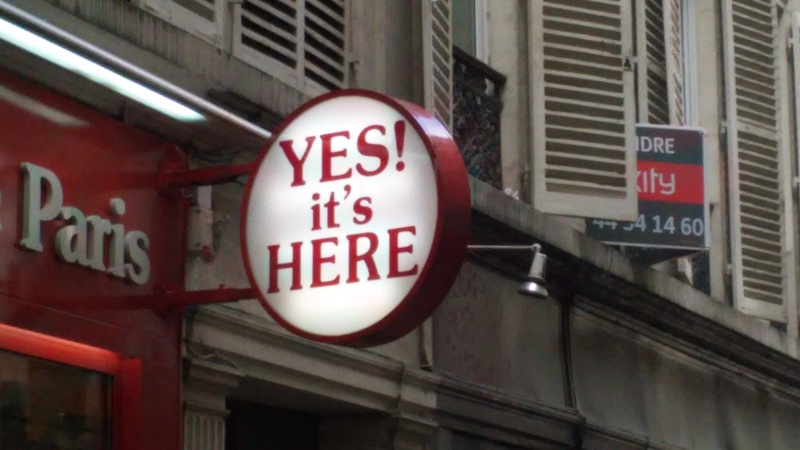 Ahh finally found…even though it’s a sign above a scary dark alleyway…. Past the graffiti ridden walls…. When I finally found the place (and it was open, as the first time it was shut!) I was happy to see all my old favourites there. Yet again, random things that I missed from home were on offer. Baked beans (who’d have though I’d miss those?? ), golden syrup (essential for Anzac biscuit baking), custard powder (I missed this so much -perhaps a pregnancy craving? ), peppermint tea (sooo hard to find in France, usually there is just mint tea that is actually green tea with mint in it). 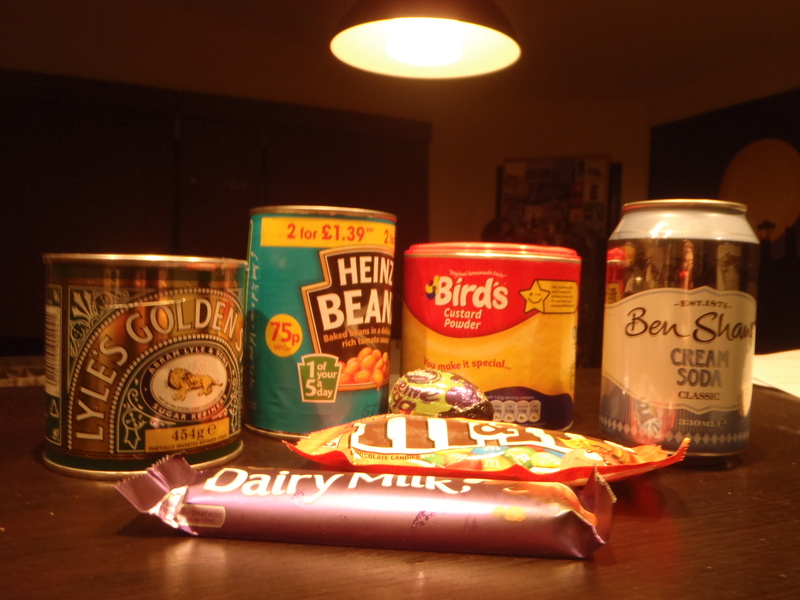 They also have a fine array of naughty junk foods, like creamy soda soft drink and Cadbury chocolate. French husband is horrified about my missing Cadbury chocolate (definitely not as good quality as the French stuff apparently), but I’ve heard many an expat from both England and Aus say that they’ve missed it too! They even sell Cadbury Creme Eggs. This last shop was probably the most unexpected. 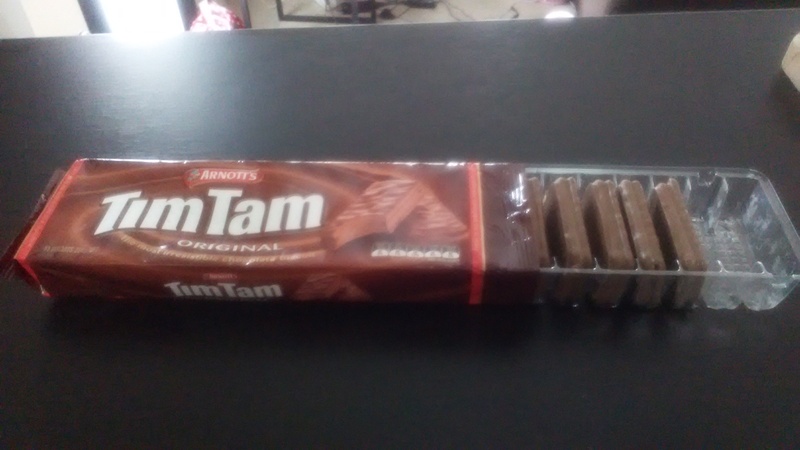 One of the largest chain supermarkets in France, and they were selling an Aussie product! 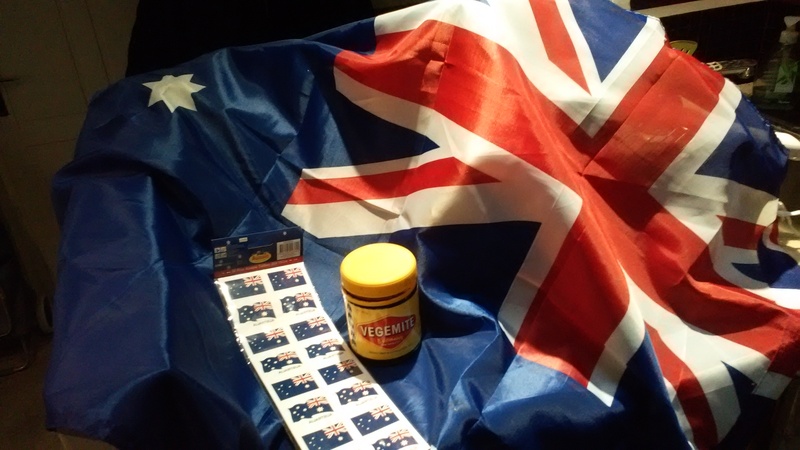 Ye olde famous Aussie expat…. 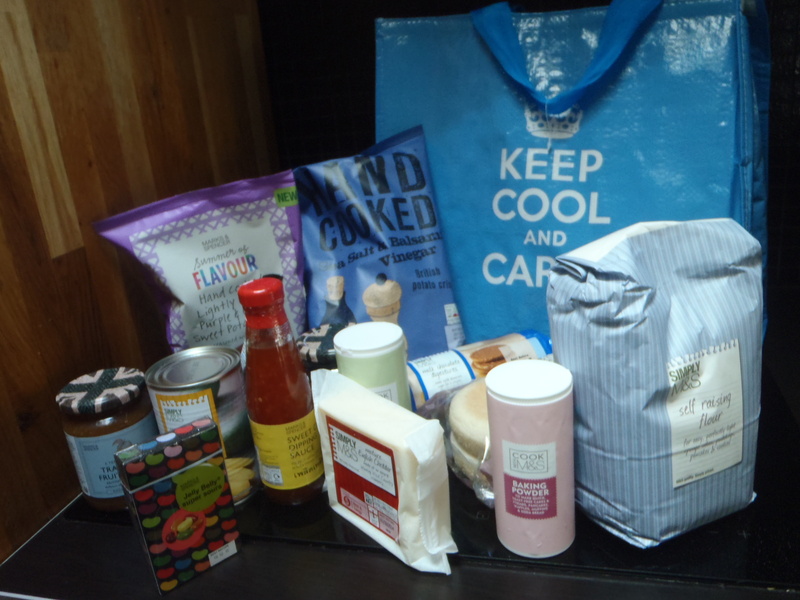 So those are my favourite go-to’s for Aussie home foodstuffs. Of course, I haven’t found everything I miss from home…if anyone knows where to buy Milo, let me know immediately!! !